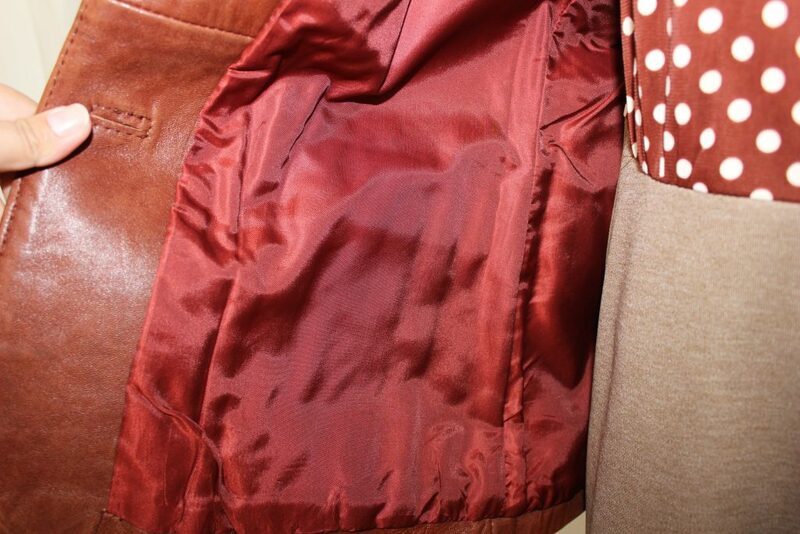 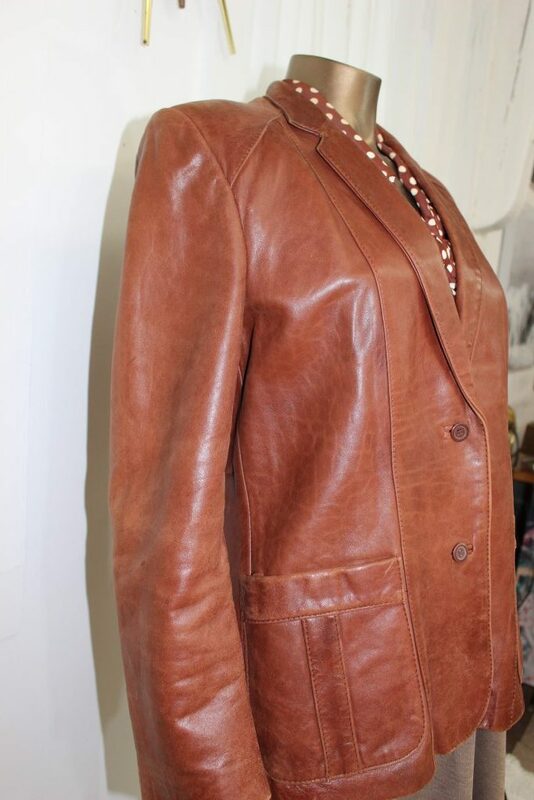 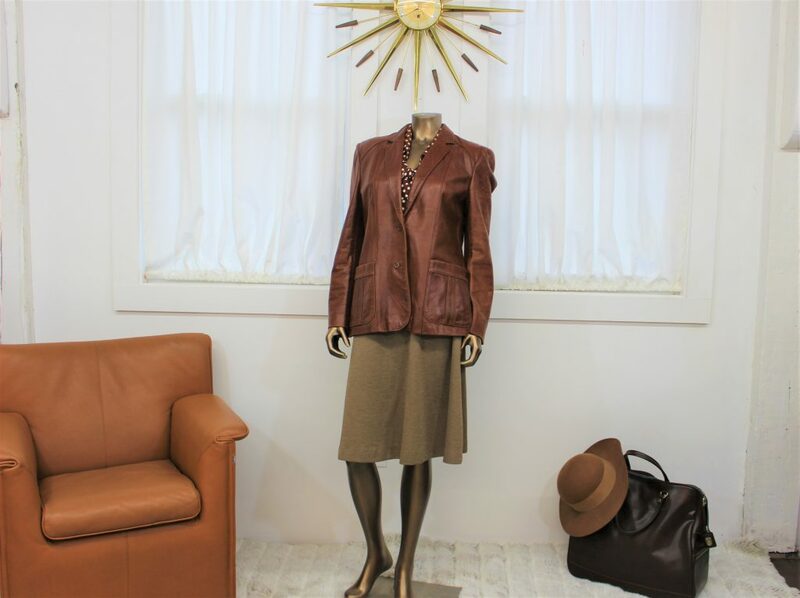 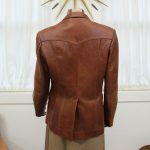 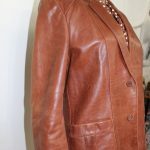 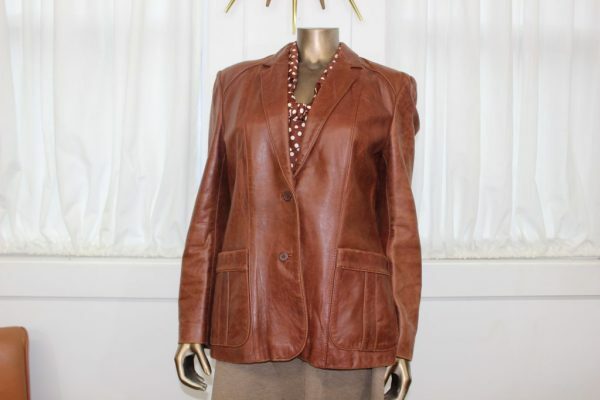 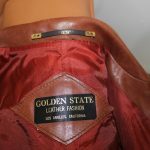 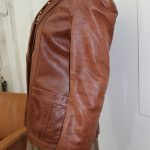 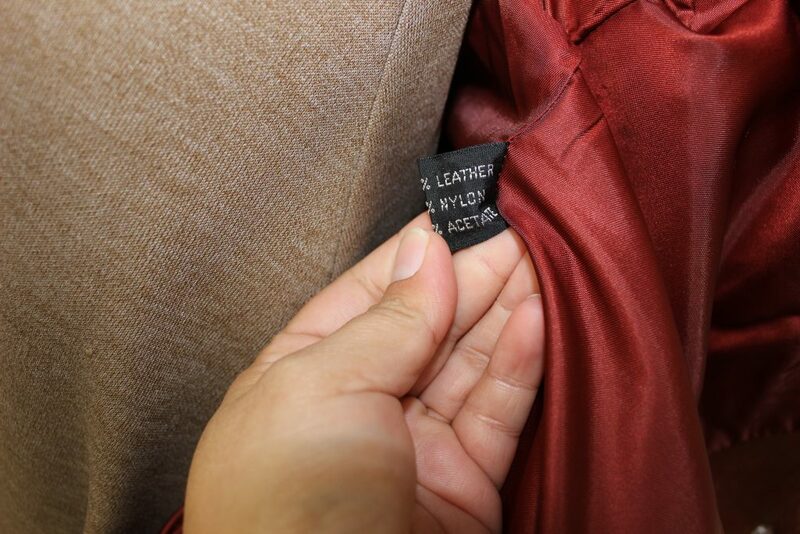 This beautiful rust color leather jacket comes to you in nice vintage condition. 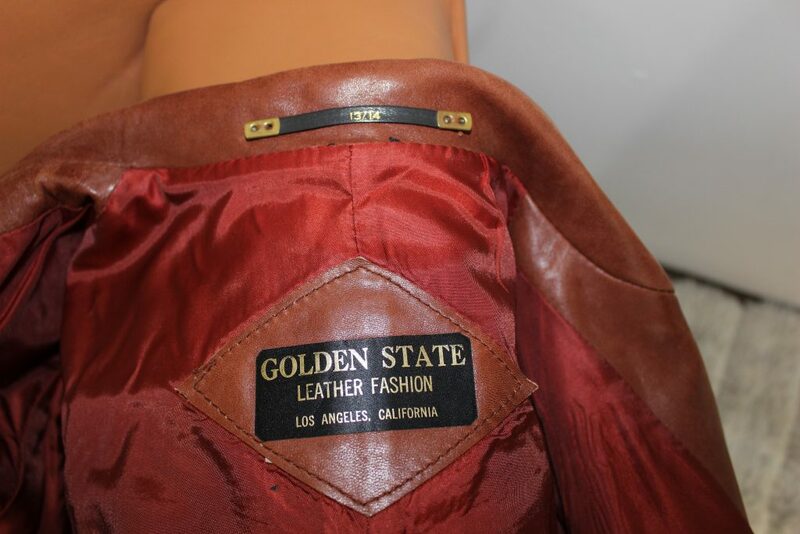 The brand is Golden State from Los Angeles California. 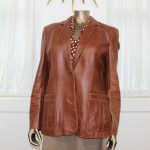 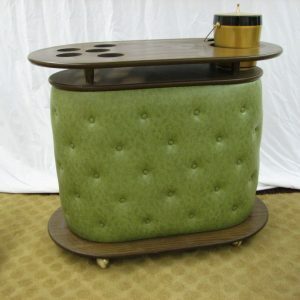 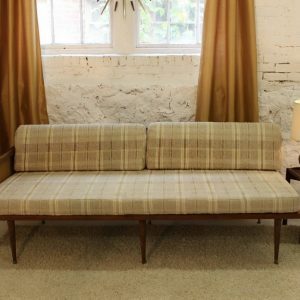 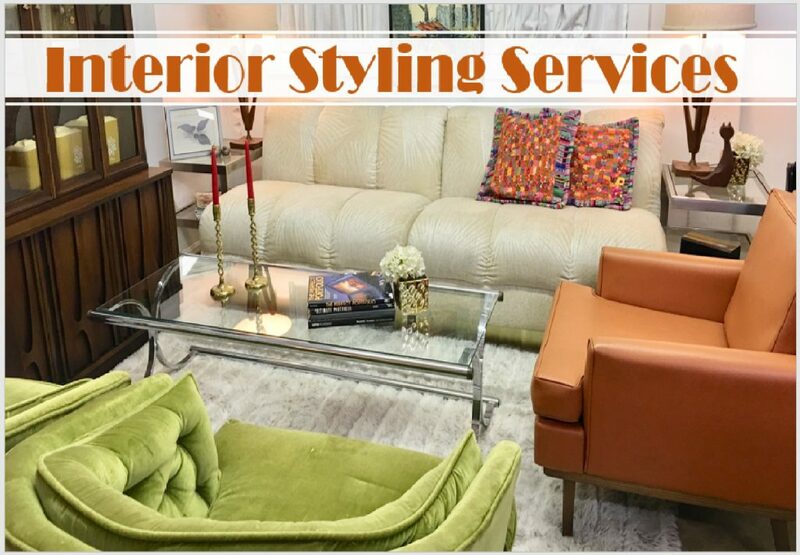 The front has a couple of buttons as a decorative detail and to secure it. 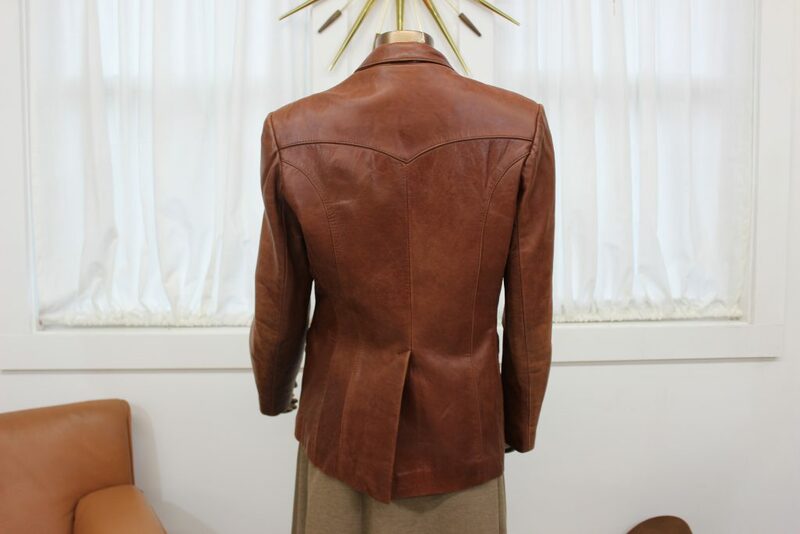 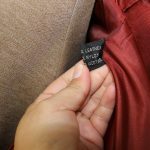 It is size 13/14, as you can see on the back of the collar, which is a medium and it is very stylish. 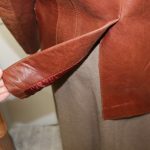 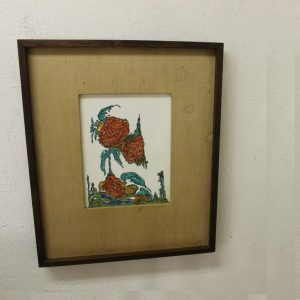 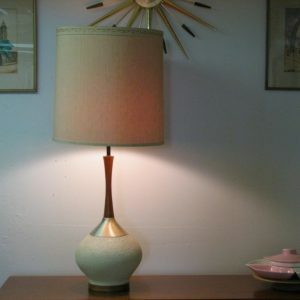 It shows that it was loved and it is a well-worn piece. 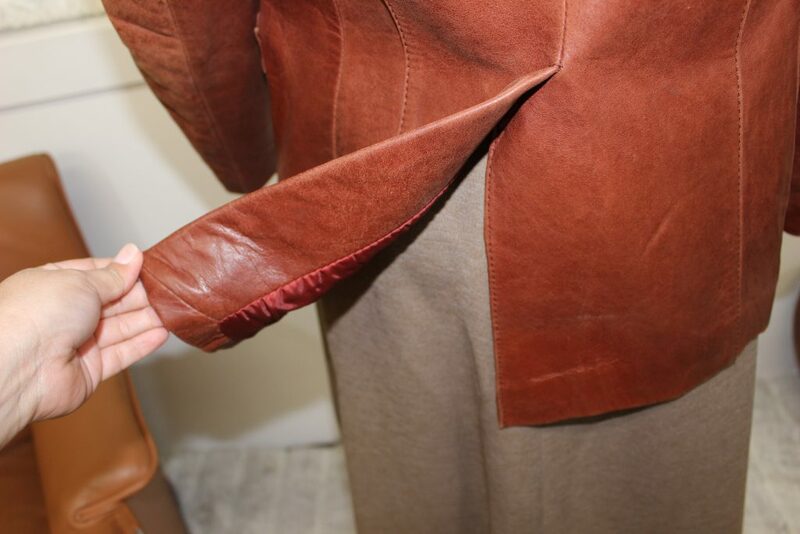 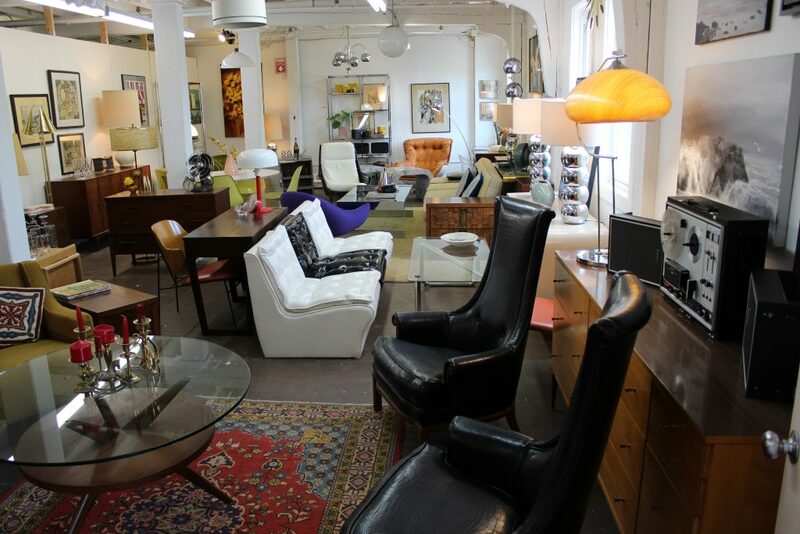 but other than the normal signs of wear and tear there are no visible rips or any kind of damage. 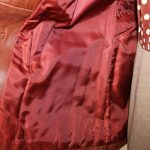 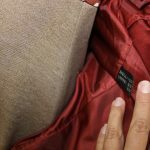 All of my coats were in protected bags, so they are clean but I would recommend getting it cleaned before wearing it. 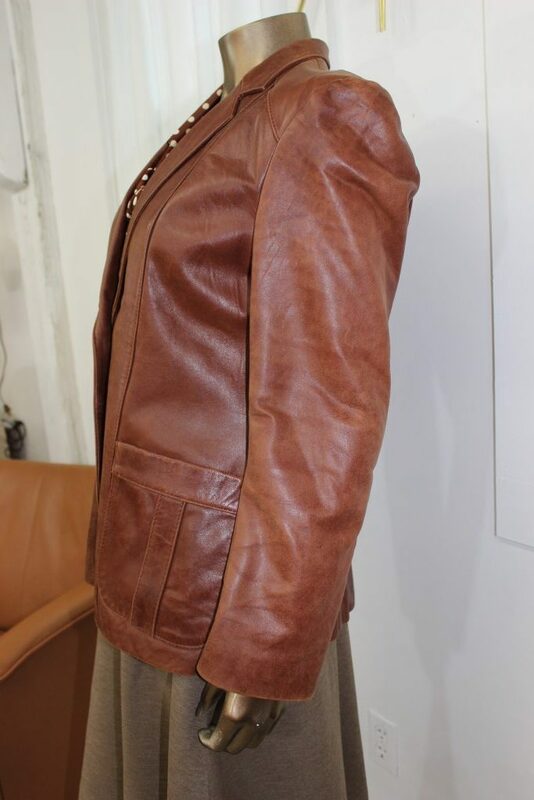 This as you can deduce, was part of my personal collection but in the spirit of “I don’t have room in my closet”  I decided to let a few of my coats go, so I hope you can enjoy being warm during the winter with this beautiful fashion statement! 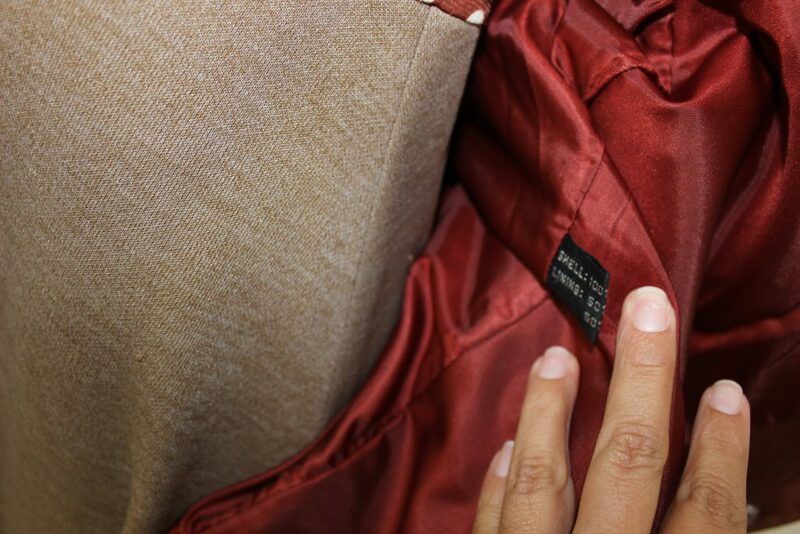 The shell is 100% leather and the lining is 50% nylon and 50% acetate.